Dr. Joe Mulvehill obtained his medical degree from SUNY Stony Brook and completed his training in internal medicine at Albert Einstein Medical College. A diplomat of the American Board of Internal Medicine and recognized as one of Castel Connolly’s Top Doctors and Best Doctors by New York magazine, Joe’s metropolitan New York practice was rated among one of five “best concierge-medicine practices nationwide” by Town & Country. Joe is among a small group of New York physicians who pioneered the concept of concierge medicine, with the goal of restoring to his practice the intimate doctor/patient relationship he experienced while growing up in rural Ireland. 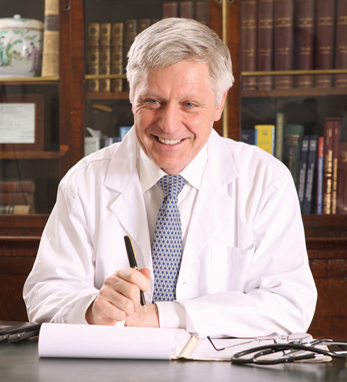 He believes that finding the solution to medical problems must be accomplished in the context of each patient’s life. Joe believes in innovation, and his use of Internet-based solutions to stay in contact with his patients has become an integral part of his everyday practice. However, he says, “I only use technology to augment and not replace the personal care that each patient needs,” which he believes is paramount to the doctor/patient relationship. To this end, a patient’s ongoing medical history is consolidated into a Personal Health Record, which allows each patient to access his or her vital medical information. This Personal Health Record, which helps to create a closer bond between doctor and patient, is now available to treating physicians wherever they happen to be.